(Salt Lake City, Utah) – The Utah Warriors of Major League Rugby have announced their starting lineup for their first match of the 2019 MLR season tonight versus the Austin Elite. The roster includes eight returning players from last year’s squad, including league-leading try scorer Tonata Lauti and 2nd Team All-League forward Matt Jensen. The additional seven players are all new signees to this year’s team including Tim O’Malley of Mitre 10 play in New Zealand and James Semple who provides double-duty as both the backs coach and starting player. Making the road trip is new signee Maikeli Mudu from Fiji. The Warriors signed two additional players this week including Mudu and Tom Kacor. Mudu will play as a reserve against Austin and has extensive international experience. The match will be held at the Dell Diamond in Red Rock, Texas starting at 6:00pm MST. This is the Warriors’ first match of the season and Austin is coming off of a one point loss to the Houston Sabercats last week, 21-20. The match can be found locally on Deseret Sports News starting at 6:00 PM MST. The Utah Warriors are pleased to announce their broadcast partners for the 2019 MLR season. All games will be available locally via streaming broadcast partnership with KSL.com and DeseretNews.com starting with tonight’s match at Austin. In addition, starting on February 17th, all Warriors matches may be viewed on broadcast television conglomerate Sinclair Broadcasting, including KMYU and KJZZ. 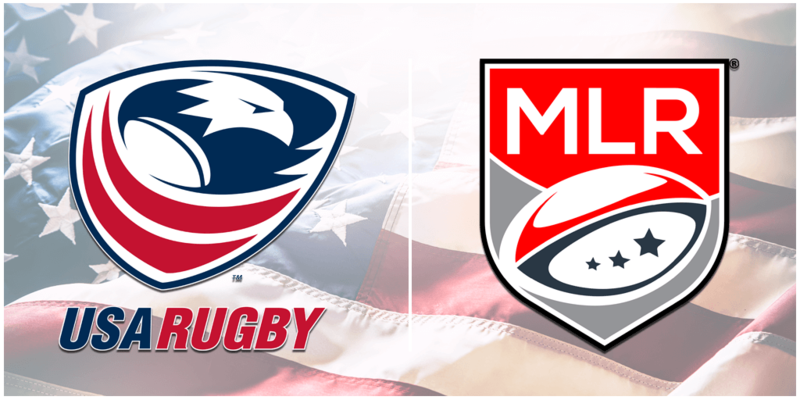 All matches will be aired on KMYU – Channel 12 with the exception of the May 4th match versus the Glendale Raptors, which will be on KJZZ-TV locally. Mudu comes to the Warriors from Suva, Fiji with vast international experience in the flanker and lock position. Most recently he played the 2018 season with the Dallas Harlequins. Prior to Dallas, Mudu spent the 2013-20919 seasons with the Jacks of the Fiji Nadi Rugby Union including time with the Mid-Canterbury Rugby team of New Zealand. His experience includes the Fiji Warriors, Sunnybrook Club of Australia, the Honda Rugby Club of Japan, and the Nadi Rugby Union. Mudu was on the 2010 and 2011 IRB Junior World Championship team as well. He is 6’4 and 267 lbs and will be a strong addition to the Warriors. Kacor is originally from Chicago but joins the Warriors after having spent the last two seasons in Ireland playing with the UL Bohemians in Limerick. Kacor also played for the Chicago Lions 7s Club and was a Rugby Collegiate All-American Honorable Mention player at Western Michigan University. The full Warriors roster includes thirteen players that came through the sport participating in youth rugby in Utah. Earlier this year, the Utah Warriors announced their Warriors Pathway program that helps athletes progress through the sport from youth to high-performance and eventually professional play. Over the years, Utah Youth Rugby has helped launch players’ opportunities into the collegiate, Olympic and professional ranks. The Warriors and UYR are pleased to work in conjunction to grow youth rugby in Utah with the Junior Warriors, Warriors Academy and the Warriors Selects programs. The Warriors play at Zions Bank Stadium in Herriman, Utah.